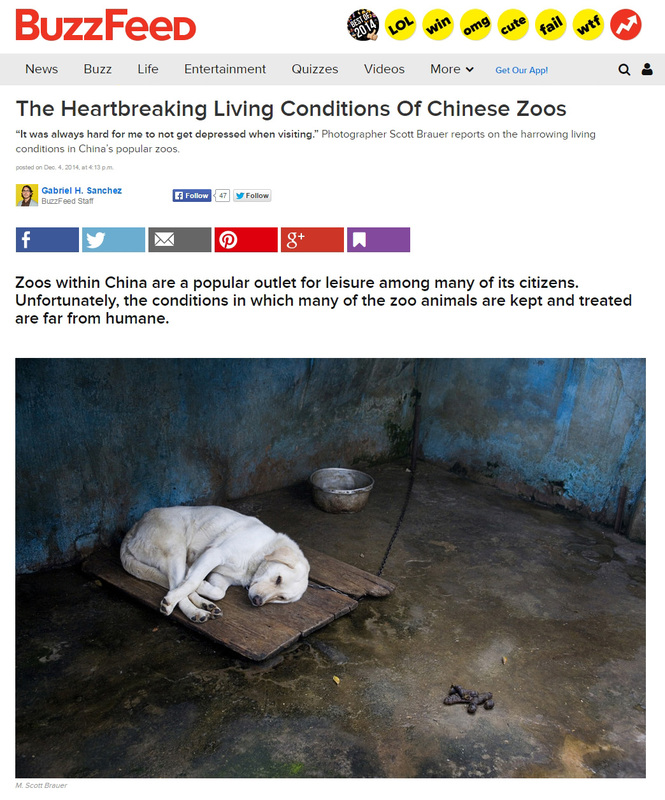 I'm very excited to announce that BuzzFeed has published Small Concrete Boxes, my work on the deplorable conditions in China's zoos. While images from the series have been published over the years, this is the most complete version of the essay to be published. I couldn't have asked for a better place to publish it, frankly. Initially I had reservations about publishing work at BuzzFeed, having really only known the entertainment side of the publication. But the website's audience is in the millions, and my goal is always to reach a wide audience with my pictures. After the pictures were published last week, I received emails from around the world expressing dismay at the conditions of the animals in the zoos and wondering what people could do to help. Unfortunately, I don't think there's a good answer to that question, but I'm glad that my pictures inspired others to take notice. Thanks again to Gabriel at BuzzFeed for publishing the work.